What is Your Wastewater Treatment System's Achilles' Heel? - Aquarius Technologies, LLC. How efficient is your existing wastewater treatment system? If it’s like many municipalities, it’s under stress from the growth of your community and local industries, which are causing a steady increase water flow and loadings. At the same time, you’re trying to contain operating costs and deal with the challenges of aging process equipment. 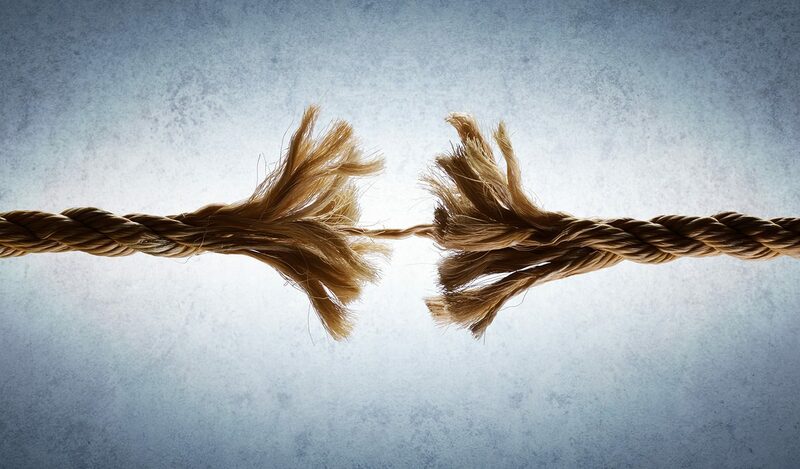 Plus, most types of biological treatment technology seem to have an Achilles’ Heel – a weak spot that prevents you from reaching the level of efficiency you require. What’s a plant manager to do? Does your biological wastewater treatment system experience significant changes in influent water flows and loadings? Many biological wastewater treatment systems are faced with highly variable waste stream characteristics (water flow and/or loadings), which limit their efficiency. Water flows greater than the design flow can result in microorganisms being washed out of the system. As the loading increases or decreases, the adjustment of higher or lower levels of microorganisms requires time. Depending on the severity of the increase or decrease, reduced efficiency and potential settling issues can arise. Because the microorganisms are attached to the media in an attached growth biofilm system, they are not susceptible to wash out with increased water flows. Also, attached growth biofilm systems typically have a greater mass of microorganisms, making them better able to handle organic load increases. Does your existing biological wastewater treatment system require a lot of oversight? Attached growth systems operate with little operator intervention and monitoring and generally use simple, low maintenance equipment. As a result, their operating costs are significantly lower than suspended growth treatment systems. Does your biological wastewater treatment system have a high life cycle cost? In addition to the significant oversight needed to manage a suspended growth system, it also produces large volumes of waste-activated sludge. This biological by-product must be pumped, digested, thickened, stored, hauled and properly disposed of. This process adds significantly to their cost of operation. According to the EPA, sludge removal and disposal may consume as much as 40% to 60% of the average wastewater treatment facilities’ operating costs. 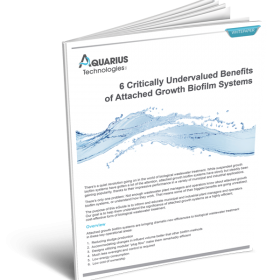 Attached growth biofilm systems like the Nebula™ MultiStage Biofilm System from Aquarius Technologies can be designed to reduce sludge by up to 80%. Also, because microorganisms remain attached to the surface of the fixed media, no sludge return pumping is required, and microorganisms tend to slough off of the media in well-formed flocs and settle rapidly in the settling basin. Based upon its ability to be designed for sludge minimization and ease of operation to low energy consumption and minimal maintenance, the Nebula MultiStage Attached Biofilm System ought to be seriously considered for any new or retrofit wastewater treatment applications.